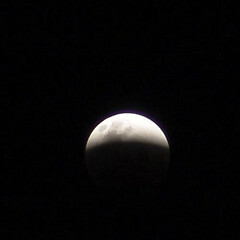 We had a perfectly clear sky during the lunar eclipse, so there was a lot to see. A pity it was so cold: I had to wear a sweater. Inflation is on the rise. Late April, the two independent weeklies The Independent and Financial Gazette both increased their price from Z$3500 to Z$5000 (42%). On May 1st, the price of a commuter ride from Avondale to town rose from Z$500 to Z$700 (40%) and cinema tickets rose from Z$5000 to Z$7000 (40%). Shortly after I arrived, cinema tickets already had risen in price from Z$3500 to Z$5000, making it a 100% price increase in two months. At work, the network is being finalized. Two weeks ago, on a Friday, I was told the proposal for getting a network had to go past the tender board. Then, on the next Monday, the proposal suddenly didn’t have to go past the tender board and on Tuesday, a contractor had started building on the network. They said they’d be finished this week, but they’ll at least need one more week. Related: An overload of pretty?